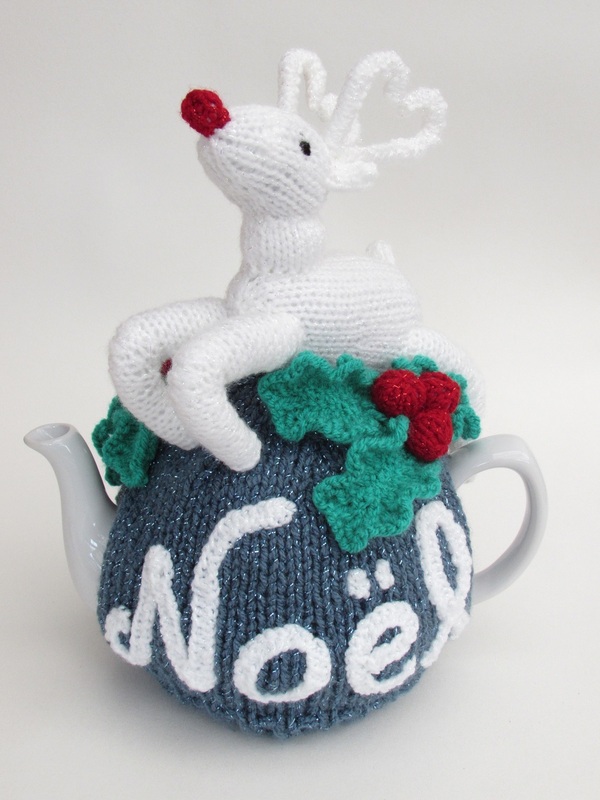 The Noël Rudolph Reindeer tea cosy was designed for the Simply Knitting Magazine issue 166 which went on sale on the 10th of November 2017. 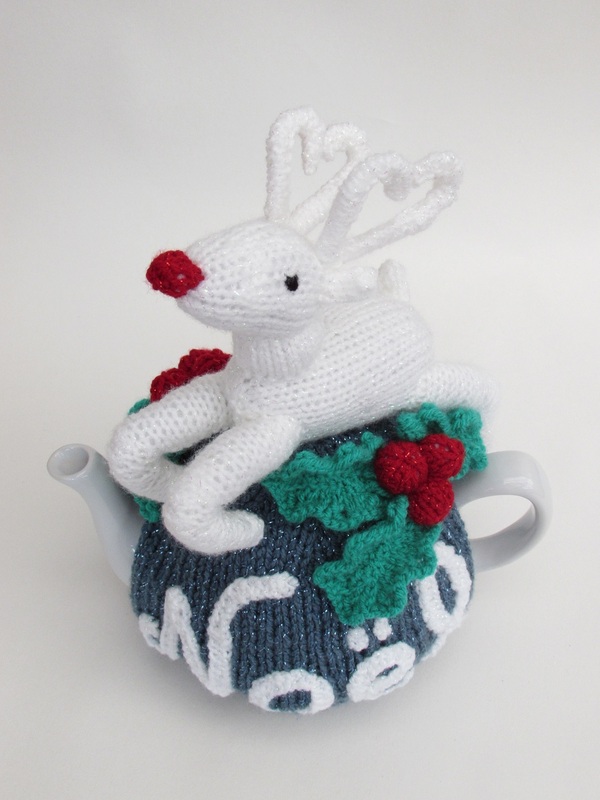 I was asked to design a Christmassy tea cosy titled 'Rudolph'. 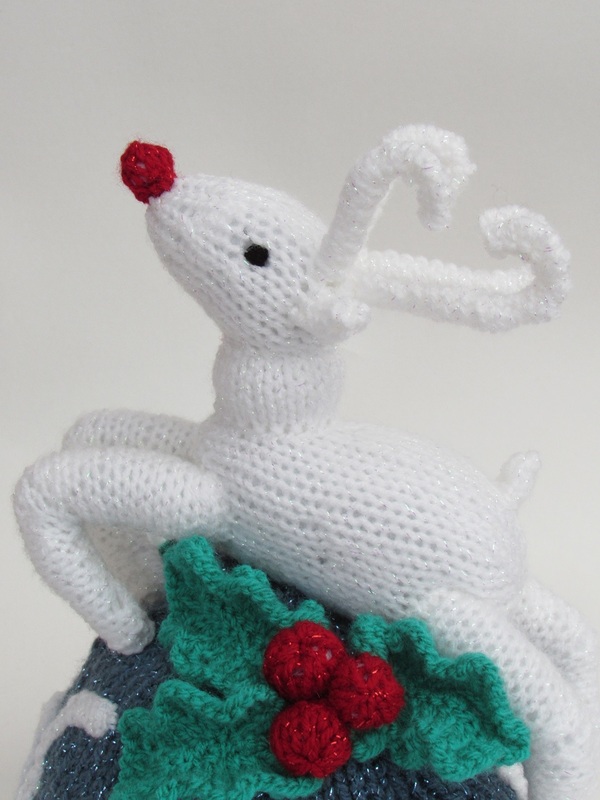 I wanted to design a classy looking rudolph and not a cutesie looking reindeer, so I decided he would be a sleek, sparkly Rudolph who was leaping into the air. 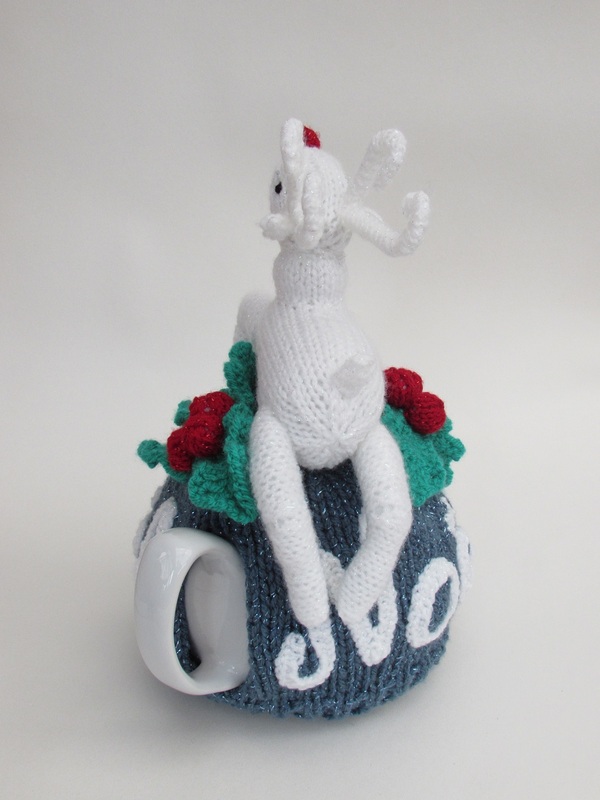 I had seen a newspaper report of an albino reindeer that had been spotted in the wild and fell in love with him and the idea of a snowy white reindeer. 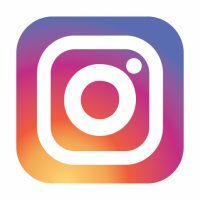 That was inspiration enough. 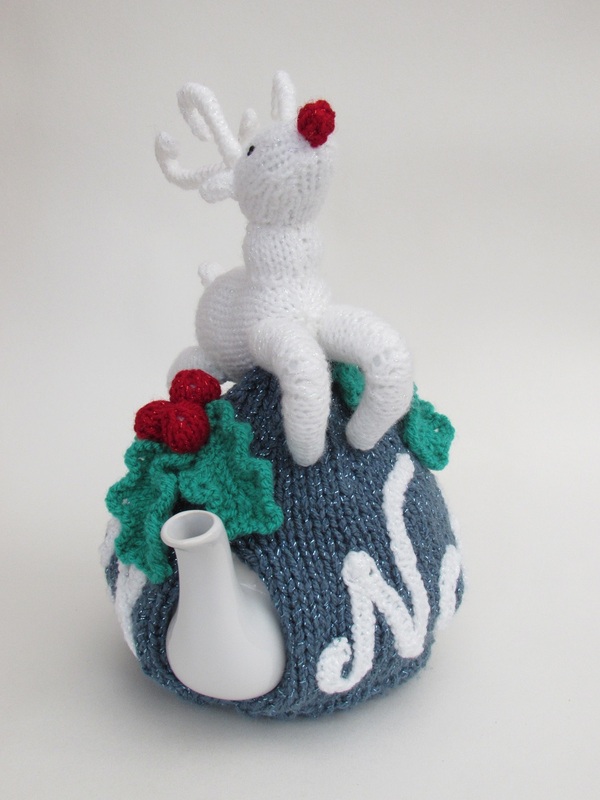 I love his antlers which are stiffened with cotton bud to hold them upright. 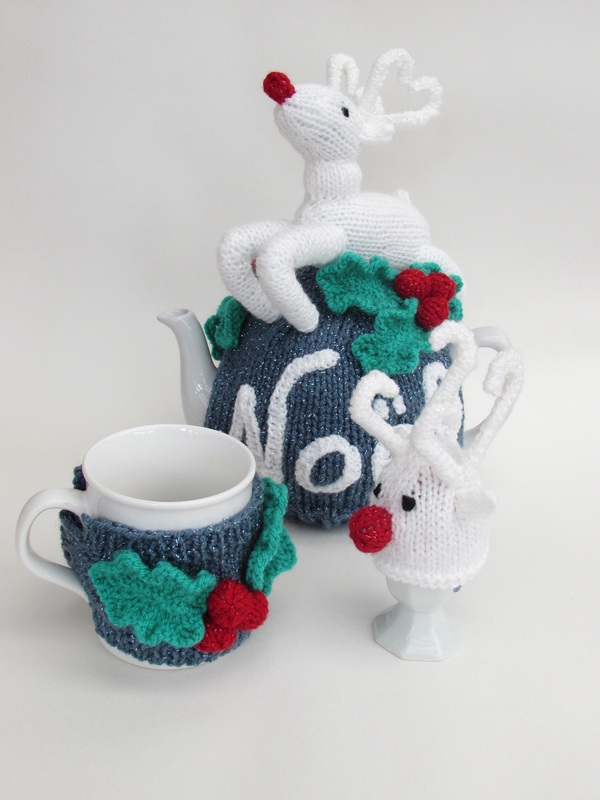 I think their shape is very art nouveau, and I love how they almost make love hearts. 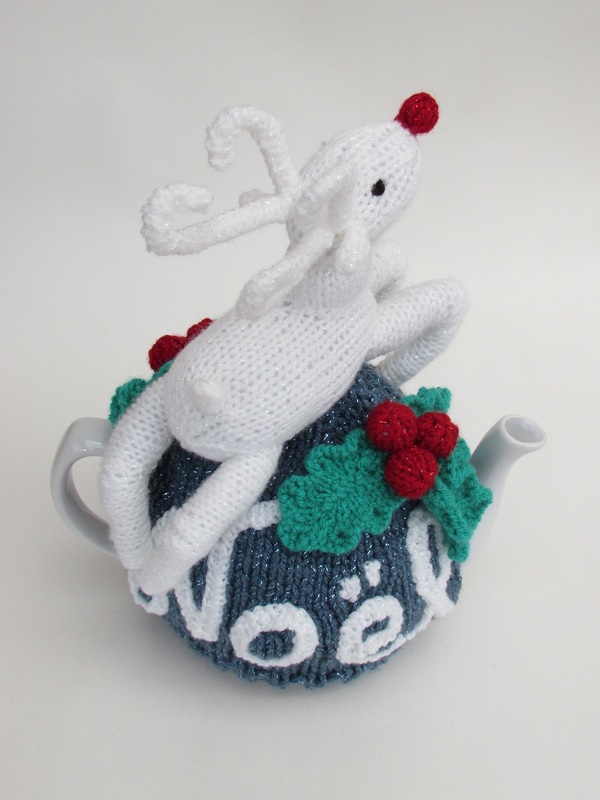 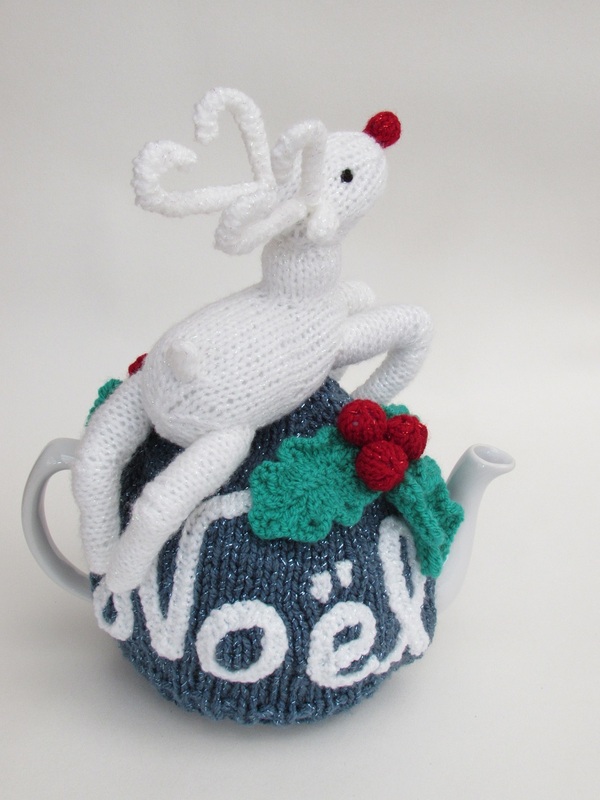 On the main cosy, is the word 'Noël' meaning Christmas, afterall it is a Christmas tea cosy. 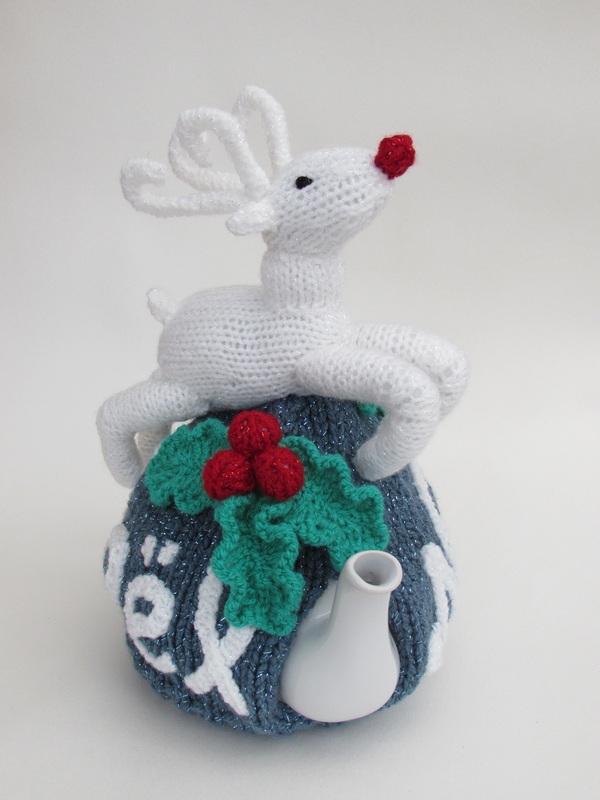 Above the lettering is a sprig of holly. 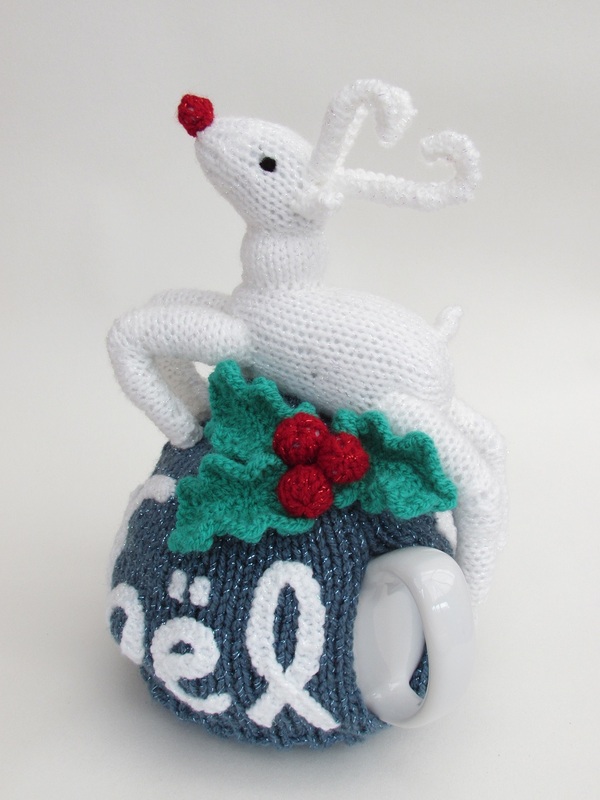 The tea cosy has a really wintery feel, and Rudolph looks amazing taking pride of place at the top. 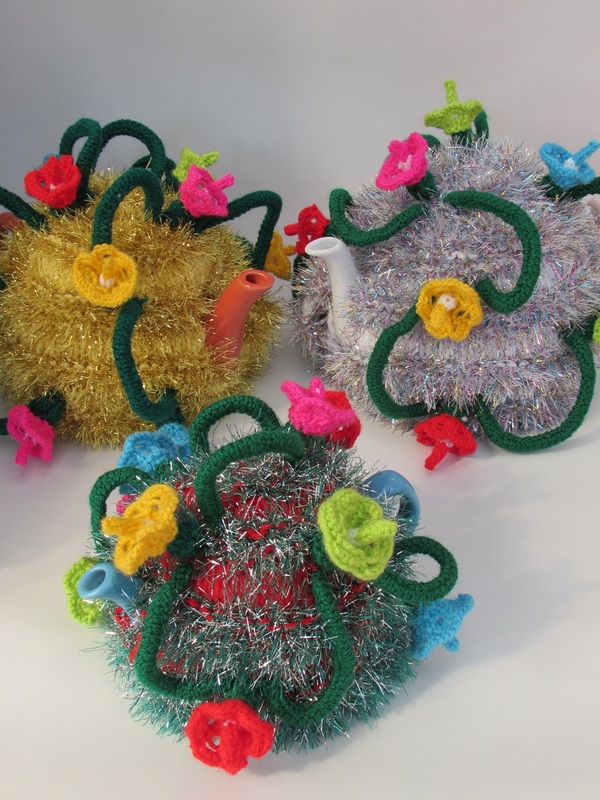 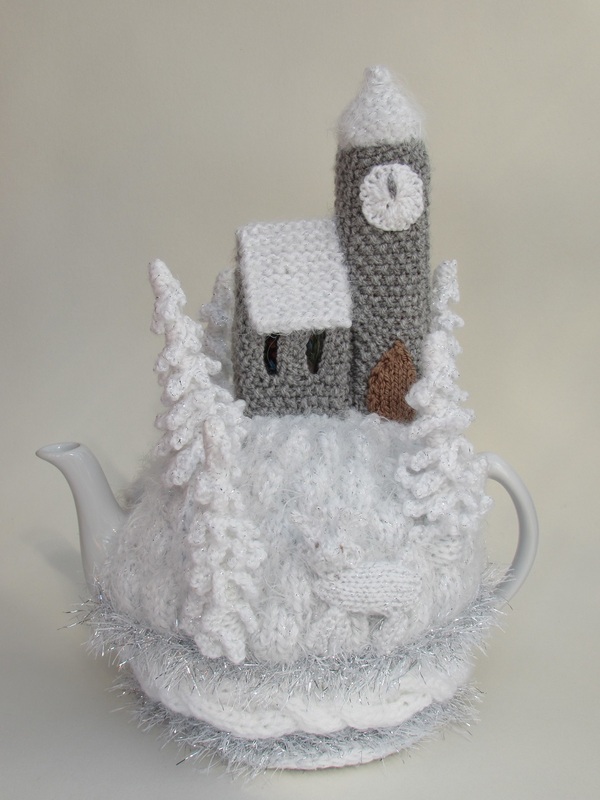 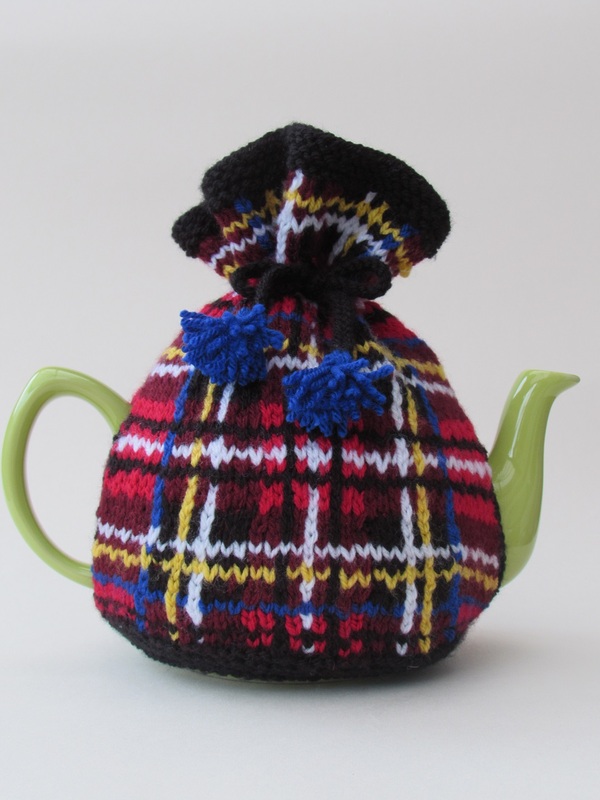 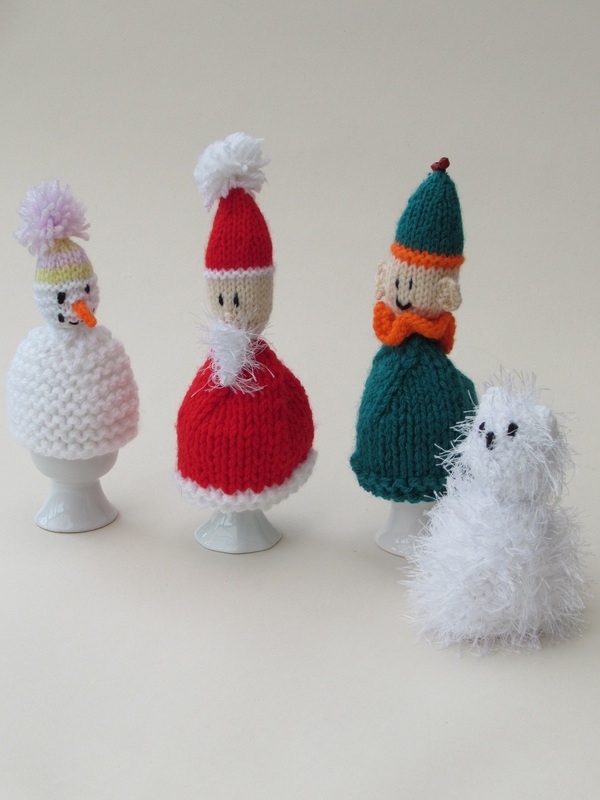 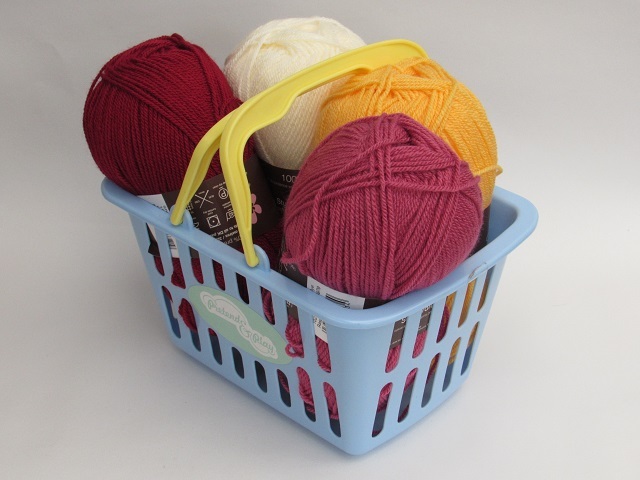 After designing the tea cosy, I thought how lovely it would be to also have matching egg cosies and mug warmers. 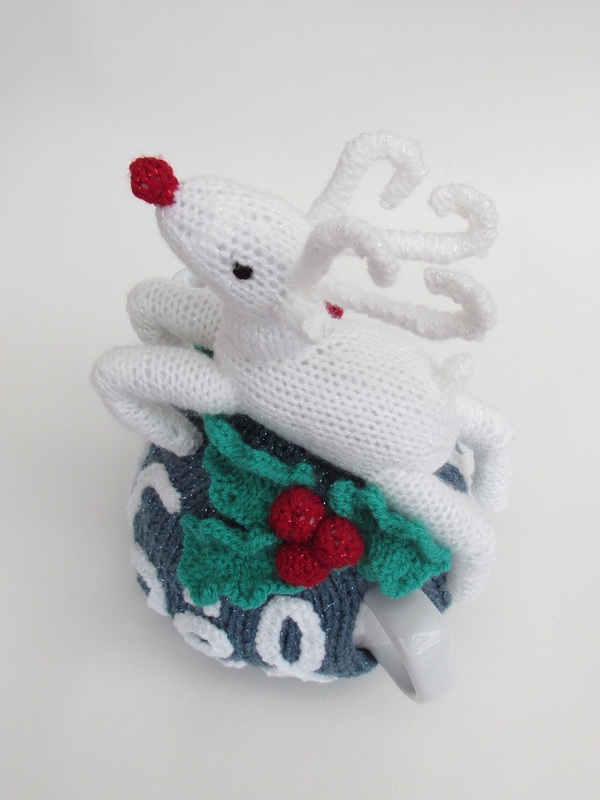 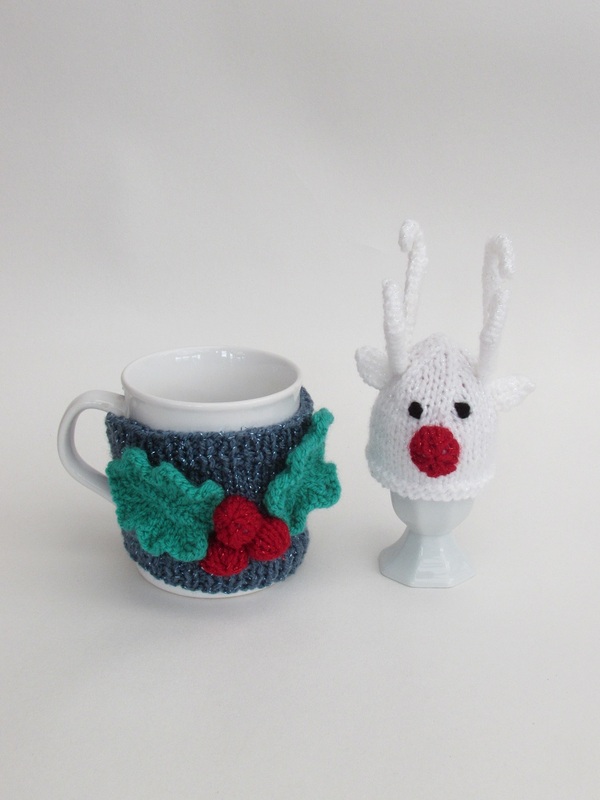 The egg cosy looks like a reindeer with a oversized red nose and the mug warmer is adorned with a sprig of holly. 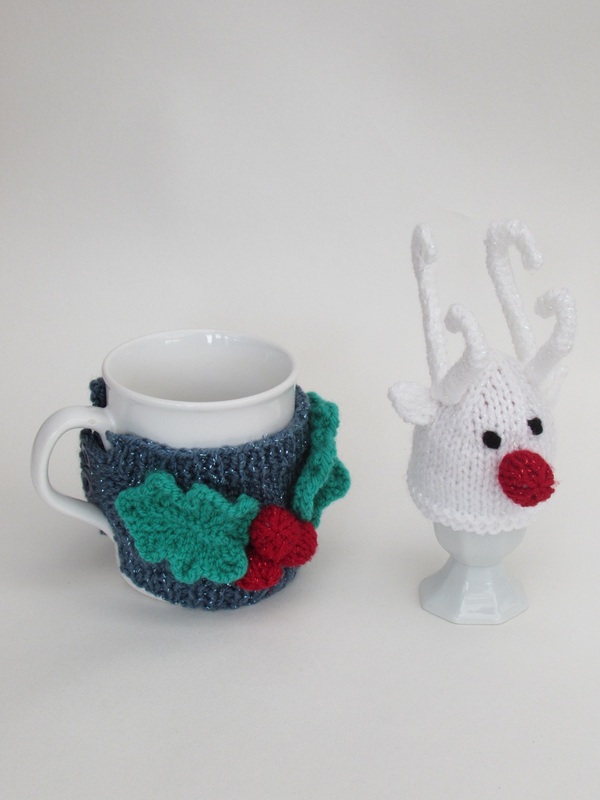 It makes such a charming set together, and would be great to knit as a gift. 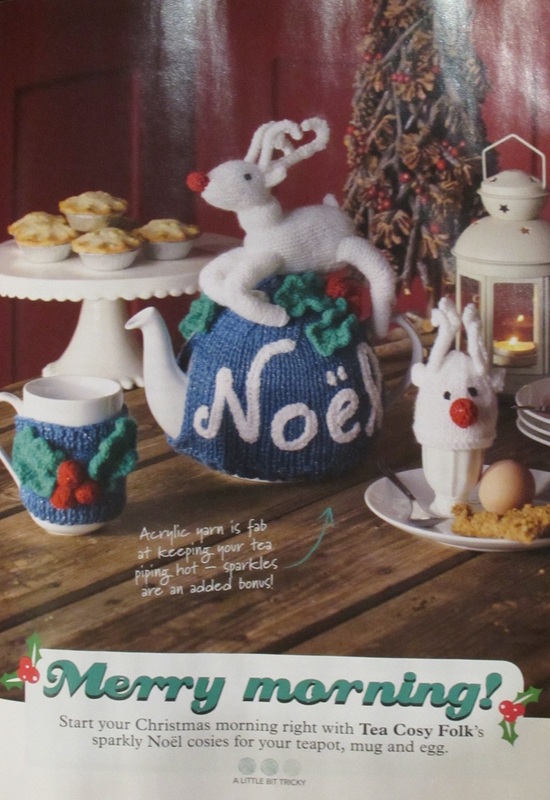 The Merry Morning Christmas cosy breakfast set tea cosy is knitted in Sirdar Hayfield Bonus Glitter DK yarn.